Microsoft has been trounced in mobile but Windows remains dominant in business desktop and laptop computing. Of course Apple Macs work well and are generally lovely machines, but the price premium is not worth it for most businesses, and Windows is better supported by business applications. October 2009: Windows 7 was released to great acclaim, following the generally poor reputation of Windows Vista, the previous version. October 2012: Windows 8 arrives, surprising everybody (and confusing many) with its dual personality, one for tablets and touch control, and one the traditional Windows desktop. The Start menu is now a huge full-screen affair, and there is no Start button as such on the desktop screen. July 2015: Windows 10 appears, with a new Start menu design and a return to the desktop model for all Windows applications. However a lot has changed since Windows 7 days. There are still two distinct styles of applications, one the new style now called the Universal Windows Platform (UWP), with chunky controls, and one the old style like Windows 7. An assistant called Cortana pops up and is intrusive as much as helpful. And this is the start of what Microsoft calls "Windows as a service", where feature upgrades come regularly for free (the good bit) but without full control over whether or not you upgrade (the bad bit), unless you choose a particular version of Windows 10 called Enterprise LTSB (Long Term Servicing Channel). Which is the best version of Windows? We will disregard Windows 8, since even if you love it (and some do), Microsoft itself has pretty much abandoned it, though it is still supported. It is not an easy question to answer. Windows 7 was great work from Microsoft. It is the most coherent and elegant version of Windows ever released. It was entirely focused on being a better operating system than its predecessor, and it is, both in performance and design. Windows 10 on the other hand has some problems, caused by Microsoft trying to revert somewhat to the Windows 7 design, but keeping an updated version of the Windows 8 application platform which was designed for mobile and touch. 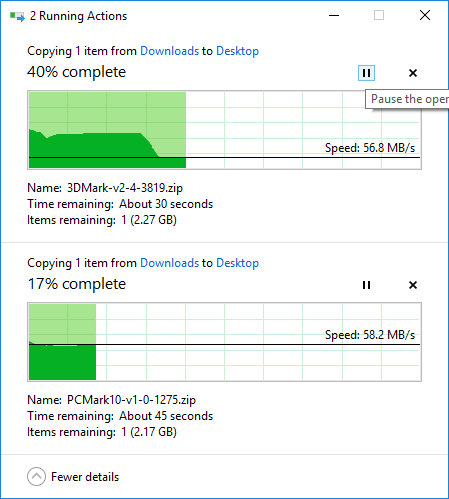 The existence of these two platforms within Windows causes inconsistency. This is obvious in the user interface for settings. 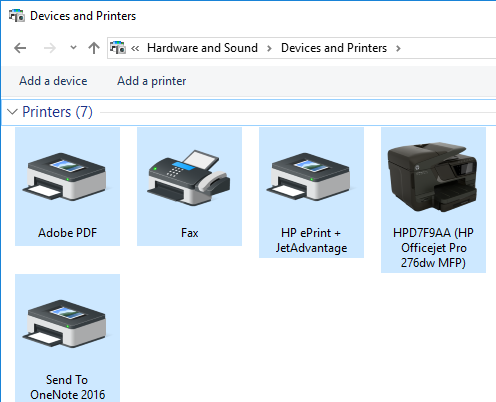 Where do you manage printers in Windows? Is it here, in the new style settings? Or here, in the old Control Panel? You may well need both, since on the one hand Microsoft is trying to make more and more settings appear in the new style, but for compatibility with many third-party drivers has to continue supporting the old Control panel. You can see the same issue in network settings, where it is really a nuisance. Want to connect to a network connection? It's the new style. Want to edit its properties? Old style; and you cannot just right-click the connection, you have to go to Change Adapter Options in Network and Internet Settings. Mostly this stuff does not impact users all that much, but subtle differences in behaviour between the old and new types of application can trip you up. 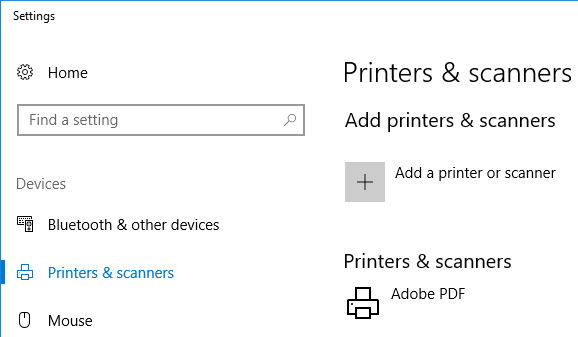 There is also the pesky Start menu to think about. It is not as good in Windows 10 as it was in 7. In Window 7, I can click Start, type a few letters, and the matching application always appears in a list. In Windows 10, the same operation does web as well as local searches and sometimes the application does not appear at all. It is easy to sympathise then with people who prefer Windows 7. Further, the chances are good that everything you want to run, will run fine. There are so many Windows 7 installations out there in active use that third parties have to continue supporting it. In Windows 7 you would get two separate dialogs, by default one over the other, with no pause option but only cancel. It is a small point, but there are many of these small improvements which combine to make it a better working environment. Security is another big deal. The UWP, despite its peculiarities, forces applications to be better behaved from a security perspective. Windows 10 has security improvements in many areas, including memory handling, optional bitlocker drive encryption, upgraded Defender anti-virus. and in the Enterprise version, Credential Guard and Device Guard. See here for more details. The Edge (Windows 10 only) browser is more secure than Internet Explorer, though of course you can use alternative web browsers on both Windows 7 and 10. Windows 10 is also greatly improved over 7 for developers and power users. Two things worth mentioning are the Windows Subsystem for Linux, which lets you run Linux commands and applications directly in Windows, and Hyper-V virtualisation, which lets you run Virtual Machines running any compatible operating system you like, Windows or Linux, in a well isolated manner. If you use Office 365, Windows 10 includes the ability to log on to Windows with your Office 365 credentials. There are other areas of integration as well which make Windows 10 beneficial for Office 365 users. In the end, Windows 10 is preferable to Windows 7 for almost all business users. The main exception is if you have an application that requires Windows 7, but there are not many of these. Yes there are some annoyances, but advantages in performance, features and security mean that it is well worth it. Comments or questions on this topic? Please contact us now.